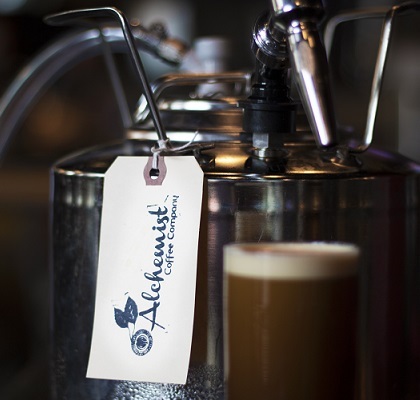 The brewing process for each keg involves an extensive quality control system. The pH and mineral content of the water we use is strictly controlled, the coffee is ground on what many professionals in the specialty coffee industry consider to be the “best coffee grinder in the world,” and the coffee is brewed in small batches, each of which is tested for TDS and Extraction—and tasted of course! If a batch does not meet the high standards for flavor and intensity, it is discarded. After meeting all quality standards, the brew is flash chilled to provide the most pure, concentrated coffee at refreshing temperatures. The coffee is then infused with nitrogen to obtain a silky texture and to elicit the coffee’s natural savory flavor, complexity, and sweetness.